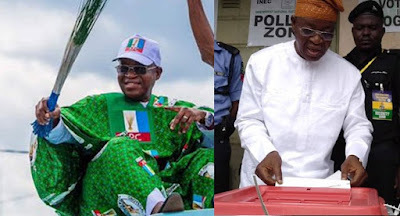 Consequently, the Returning Officer, Professor Joseph Fuwape, declared Oyetola the winner of the election. 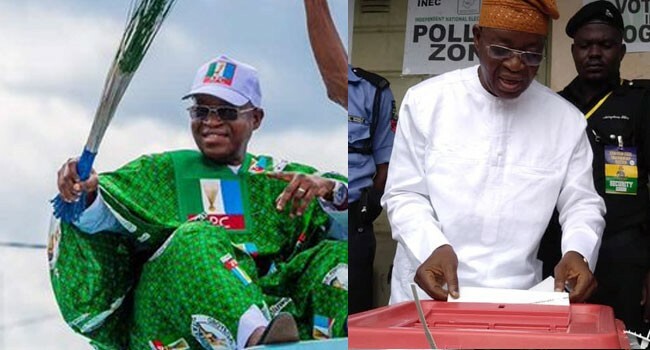 The Osun governorship race had opened smoothly on Saturday, September 22, carrying with it the tag of being a crucial election and a long list of candidates – 48 in all. Beyond that, it is the biggest to poll to take place before the 2019 general election and many consider it as a much a test for INEC as it is for the parties that have hopes of changing the political landscape. An early start to the election and a good turnout of voters did not prevent the election from dragging. By Sunday evening, INEC had declared the poll inconclusive after the margin between the two top candidates was lower than the number of polling units were election did not hold or were cancelled. Consequently, the electoral body fixed Thursday for supplementary poll in seven polling units with 3,498 registered voters. Adeleke and his party, the PDP, were irked by the decision, stressing that he ought to have been declared the winner of the poll on account of his lead. To ensure victory in the supplementary election, the APC and the PDP made efforts to secure the support Senator Iyiola Omisore, the candidate of the Social Democratic Party, who had the third highest number of votes. Omisore opted to support Oyetola and the APC on Wednesday. The buildup to the supplementary election itself was more heated than the situation on Saturday with more arrests and allegations and counter allegations. Reports of arrests, intimidation and the prevention of election observers from gaining access to polling units were among the first incidents. Gunshots will later force voters in Osogbo to scamper for safety before returning to continue voting. At the end of the day, Oyetola got the votes needed to win.